I chose this image as it is one of the other many depictions that were tied together to create the Epic of Gilgamesh. It belongs to the Museum of Anatolia Civilisations in Ankara, Turkey. 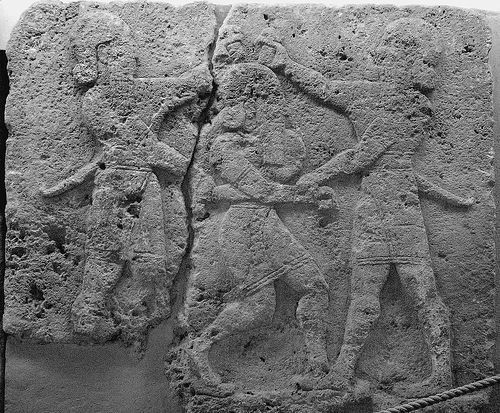 The scene shows King Gilgamesh and Enkidu killing the guardian of the cedar forests, known as Humbaba, or Huwawa. Humbaba was considered to be a terrible monster and he kept watch over the cedar forests, where it was believed that the gods lived. This relief stands at about 122 centimetres tall and as a late Hittite stele under the Assyro-Armanean influence, it has been dated to approximately 750-700 B.C.E.